Although the Prime Minister has previously denied the link between police numbers and levels of crime, the Home Secretary has recently admitted that police numbers are an ‘important part’ of tackling violent crime. In addition to this, Home Office Minister Ben Wallace also recently admitted the police need more resources on Radio 4’s Today programme. Unlike the Tories, Labour is clear that you cannot keep people safe on the cheap and these deep cuts have had terrible consequences. With violent crime rising and arrests falling on their watch, this Tory Government’s refusal to give our police services the funding they need will continue to devastate our communities. Knife and other crime are rising sharply and police chiefs across the country say they are close to breaking point. Yet the new funding needed was not forthcoming at all in the Chancellor’s recent Budget. We have also recently seen a damning report on financial sustainability of police forces in England and Wales by the Committee of Public Accounts. This presents a damning picture of Government underfunding and mismanagement of the police force, arguing that public confidence in the ability of police officers to do their jobs has been “severely dented” as forces struggle to cope with dwindling resources. In it, police chiefs report communities feeling less safe, which comes as little surprise with nearly 50,000 fewer staff than in 2010 at a time when reported crime is rising. It also makes clear that neighbourhood policing has borne the brunt of Tory policy and that officers are increasingly required to tackle the effects of social problems which have been deepened by Tory cuts in other budgets, especially, but not exclusively, local authorities. Furthermore, this report is just the latest in a string of highly critical independent reports on the effects of Government cuts, which have also included those from the Home Affairs Select Committee, the National Audit Office and others. As the effects of the Tory cuts have deepened, there has been an emerging and growing consensus that Ministers are unaware of the effect of their own policies, and have additionally made little effort to examine local conditions. 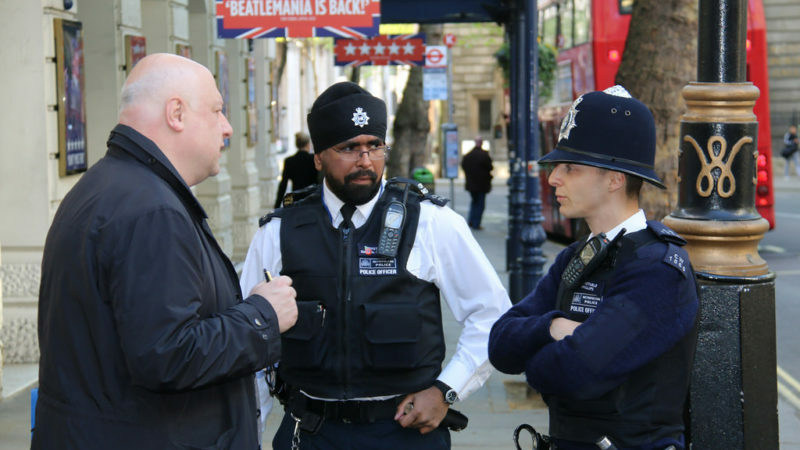 As part of this, police chiefs, rank and file officers and even Home Office officials have been vocal in recent months in telling the Home Secretary the problem is cuts to the police which have hampered their ability to tackle the surge in violence. To give one example, Sara Thornton, the chairwoman of the National Police Chiefs’ Council, recently claimed that forces were too stretched to take on all “deserving” issues, such as logging misogyny reports. The Government has been in denial, but now it seems even Home Office Ministers are being forced to admit that the police need more money. Why then was there was not a penny more for neighbourhood policing in the recent Budget and why are police forces are reaching a crisis point? If the Home Secretary is serious about his recent remarks, he needs to demand the funds to stop the cuts to policing and begin to reverse the damage they have done. We therefore need to get the message out far and wide that austerity in policing continues, with the Budget offering nothing new except a dubious claim to be increasing funding for counter-terrorism. The Government should end this reckless policy now. In contrast to the Tories, Labour’s commitment to policing and public safety is clear. We will recruit 10,000 more police officers to keep our communities safe and to begin to reverse the crisis in policing. Diane Abbott is the Shadow Home Secretary and Labour MP for Hackney North and Stoke Newington.